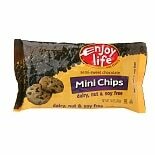 Shop Enjoy Life Semi-Sweet Chocolate Mini Chips (10 oz. )10 oz. $429$4 and 29 cents$0.43 / oz. 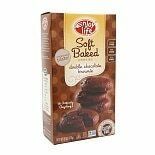 Shop Enjoy Life Soft-Baked Cookies Double Chocolate Brownie (6 oz. )6 oz.